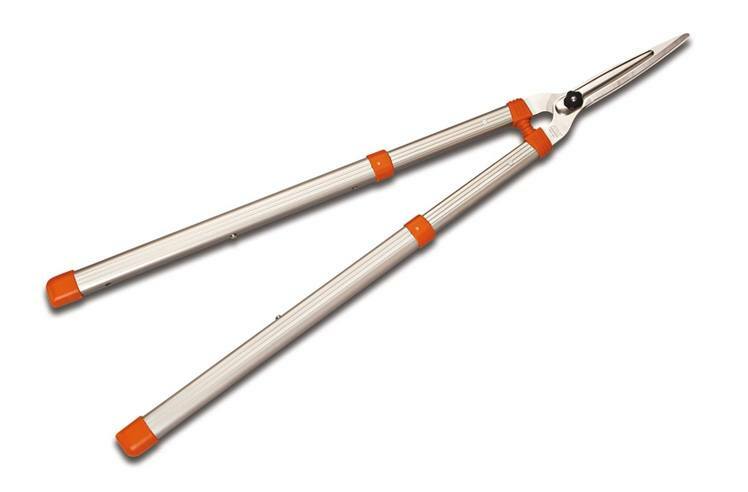 Excellent hedge shear for all around use that extend from 28" to 41.5" in 3 stops. 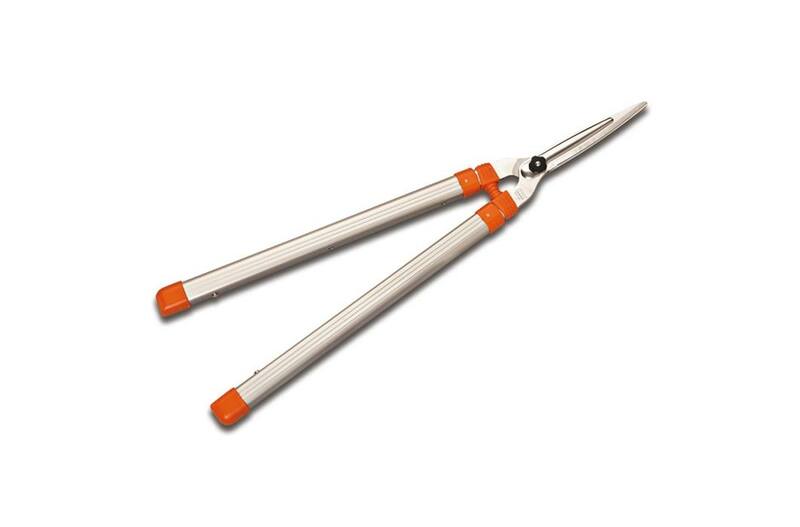 Nickel plated high carbon blades produce high cutting strength and rust and sap resistance. 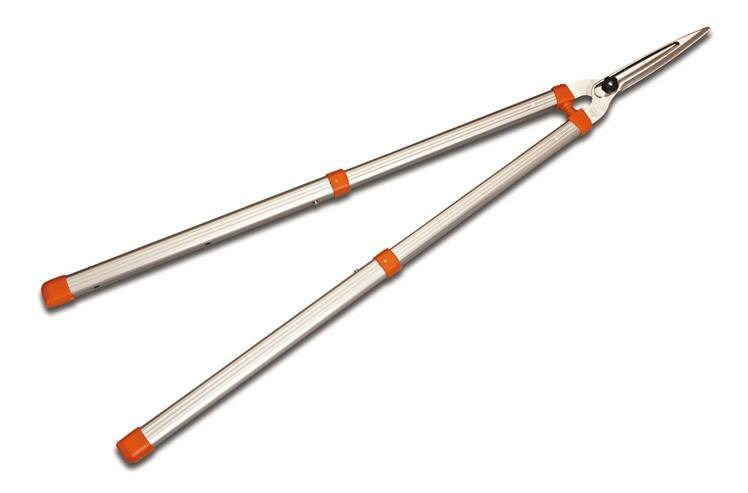 These telescoping shears extend from 28" to 41.5" in 3 stops and are great for trimming tall bushes and deep into flower beds. Overall Length: Adj. 28.0" to 41.5"
Adj. 28.0 in. to 41.5 in.